본 연구는 리얼리티 프로그램이 성역할 고정관념을 어떤 방식으로 재생산하는지 검토한다. 이를 위해 양가적 성차별주의 이론과 미디어 프레임 이론을 결합한 분석틀을 제시하고, 리얼리티 프로그램의 성역할 고정관념 연출프레임을 분석했다. 연구결과, 성역할 연출프레임의 일정한 사용패턴이 확인되었다. 첫째, 성역할 묘사 장면은 평균적으로 전체 방영시간의 약 5-10%를 차지하고 있으며, 성역할 고정관념이 가장 많이 드러나는 영역은 가사 및 육아 영역으로 나타났다. 둘째, 가장 빈번하게 사용된 연출프레임은 남성의 해방적 성역할 프레임과 여성의 온정적 성차별 프레임인 것으로 조사되었다. 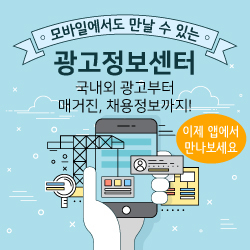 방송에서 남성의 전통적 성역할에 대한 경계는 흐려지고 있는 반면, 여성에게는 더 넓은 범위에서 여전히 전통적 성역할이 강조되고 있음을 발견했다. 셋째, 성역할이 묘사되는 장면에서 언어적?비언어적 연출요소들이 성차별 연출프레임을 구축하고 있으며, 각 연출프레임마다 연출요소는 차별적으로 사용되는 것으로 나타났다. 넷째, 제작진들은 연출 프레이밍에 있어서 주로 남성 등장인물을 중심으로 성역할에 대한 시각을 풀어나가고 있었다. 이 때 연출된 남성 등장인물의 관점은 곧 제작진의 해석이 내포된 것으로, 결과적으로 시청자들은 등장인물이 처한 상황에 대해 제작진의 해석 및 평가를 받아들일 가능성이 있다. 다섯째, 같은 연출프레임 내에서도 등장인물의 성별에 따라 사용되는 연출요소에 미묘한 차이가 있음을 발견했다. 마지막으로, 연구결과에 근거하여 성 평등적인 프로그램 제작을 위한 연출지침을 함의에 제언했다. This study examines how reality TV shows reproduce gender role stereotypes. To this end, it proposed an analysis framework that combines ambivalent sexism theory with media frame theory and analyzed gender role stereotypes in reality TV shows. As a result, the pattern of use of the directing frames on gender roles has been identified. The study describes 5 key results. First, scenes describing gender role account for about 5 to 10 percent of the total broadcast time and the areas with the most gender role stereotypes emerged as areas of household and child care. Second, the most frequently used directing frames were found to be the emancipated gender role frame of male and the benevolent sexism frame of female. Third, in the scene where gender roles are portrayed, linguistic and nonverbal elements compose the sexist directing frames, and the directing elements are used differently for each directing frame. Fourth, production teams were inclined to represent their views on gender roles mainly through male characters. Fifth, the study found that even within the same directing frames, there were subtle differences in the directing elements dependent upon the gender of the characters. Finally, the study suggests future directing guidelines for gender equality TV show production.